Welcome to Basco, where you can buy Spanish Foods online. As Spanish food suppliers UK wide, we import the very best traditional Spanish foods and Spanish wines for you to shop and buy online. Enjoy browsing our extensive Spanish food shop online ranging from Montanegra Iberico Ham to the finest Pedro Ximenez Sherry. Need a gift to a Spanish food lover or a 'thank you' present then take a look at our Spanish Food Hampers category where we have a range of Spanish Hampers for all tastes & budgets. Basco Spanish foods offers a range of delivery options throughout the UK and Europe that ensures your order is delivered as fresh as the day it was produced. If you are located within Mainland UK you can benefit from our free next day delivery service. Remember, when you buy Spanish food online from the Basco’s Spanish shop and spend over £50, your Spanish food delivery is free (within mainland UK) and, like no other Spanish shop online, we also give you 10% off your first order of Spanish groceries online with the code BASCO10. We hope you enjoy visiting our Spanish food shop online and enjoy the very best Spanish foods Spain has to offer. 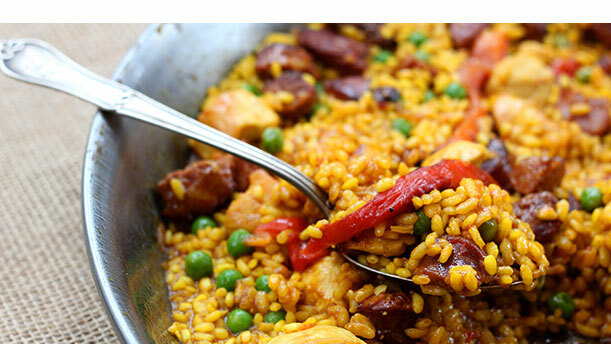 Thinking about making a tasty meal for a dinner party, your partner or just for yourself to enjoy, then check out our latest Spanish Recipes, Basque Food Recipes and Spanish Drink recipes we have to offer.